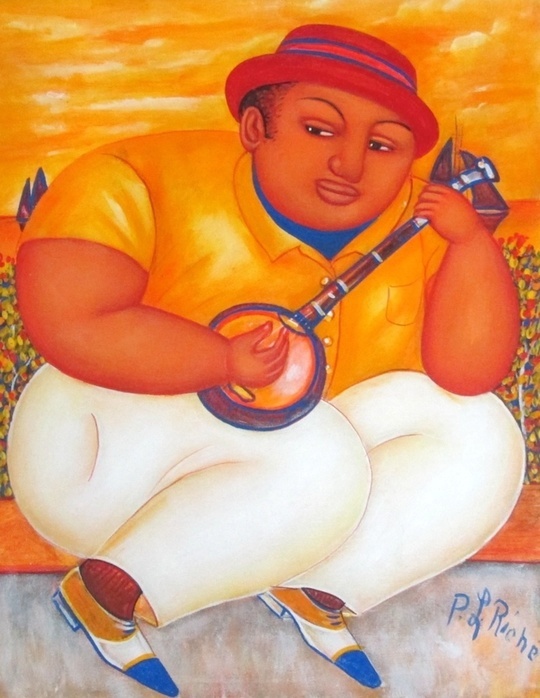 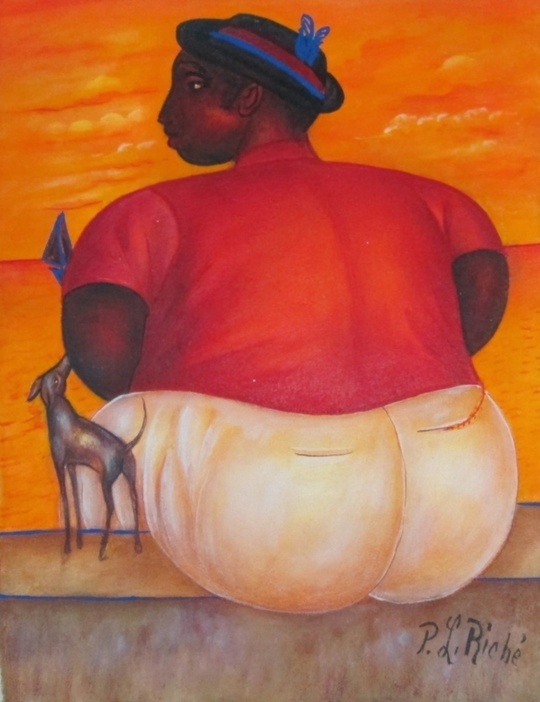 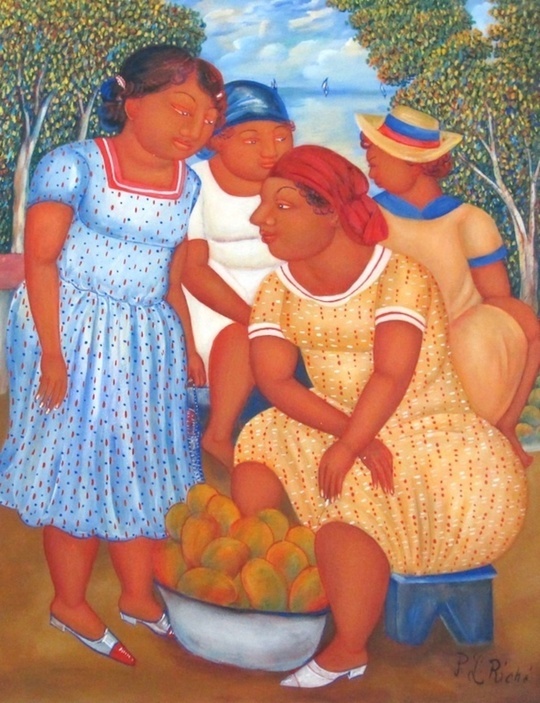 Riche was born in Cap Haitien in October 1954. 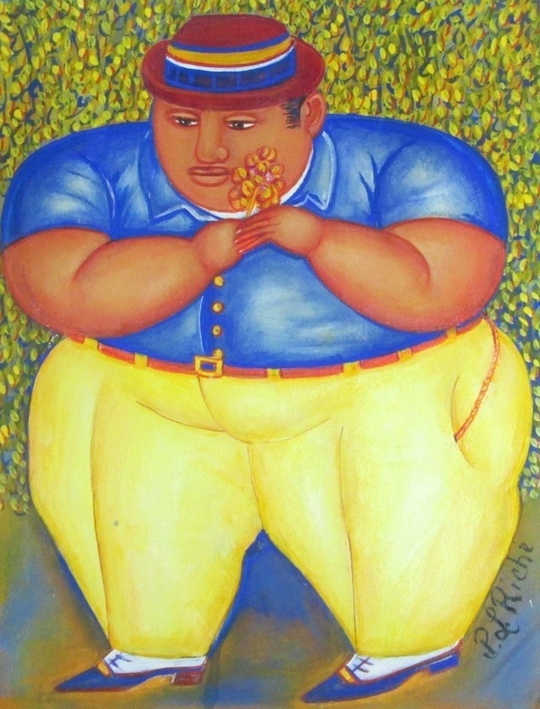 His parents were farmers. 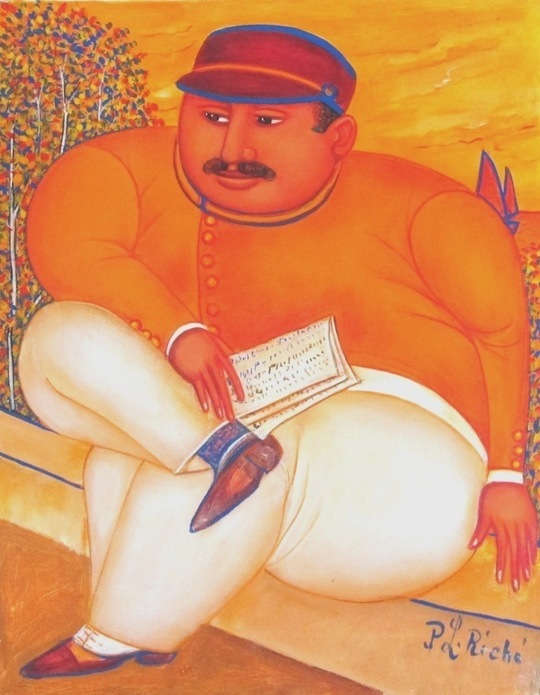 He stayed in school until he graduated from high school. At the age of 20, Riche began to paint He worked with Philome Obin and, at first, only painted historical scenes. 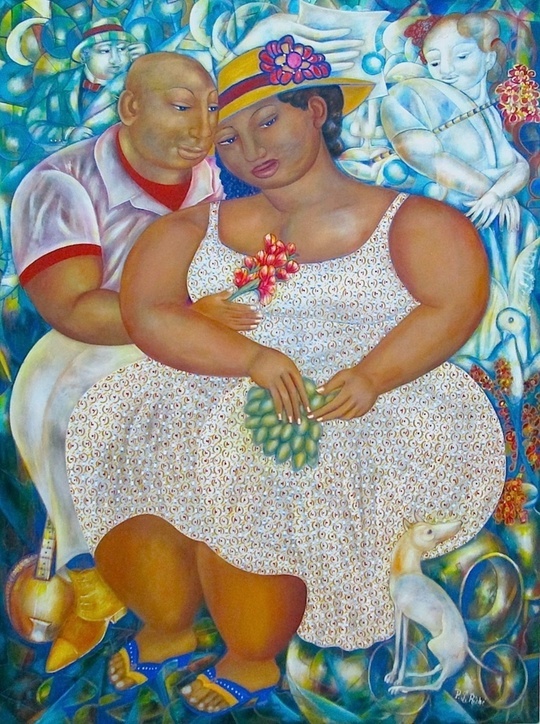 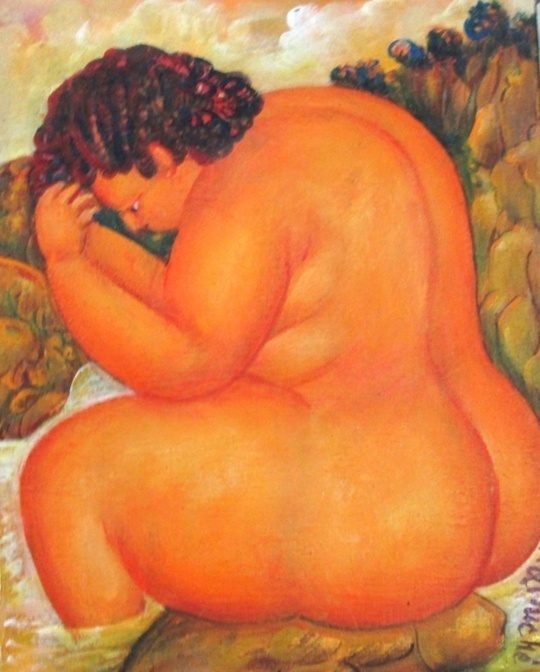 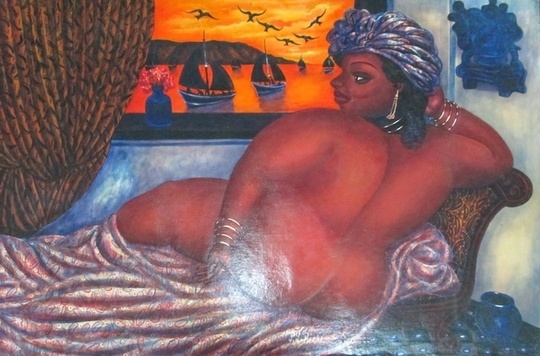 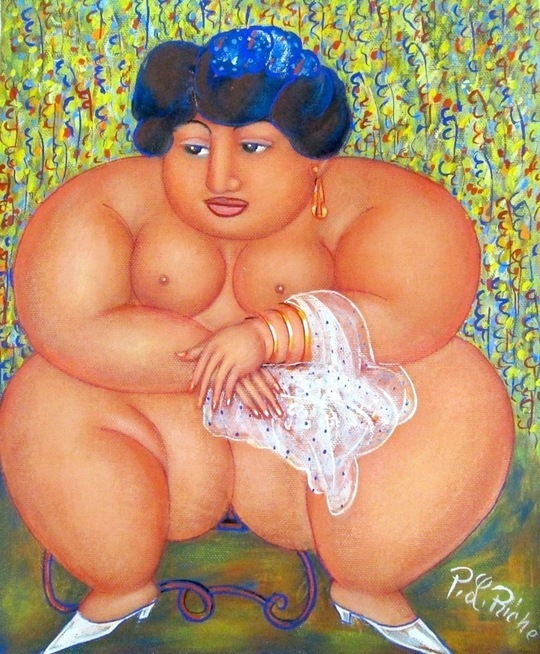 As he continued painting fat people, mostly women, sometimes wearing jewelry and sometimes nudes, began to fill his canvases. 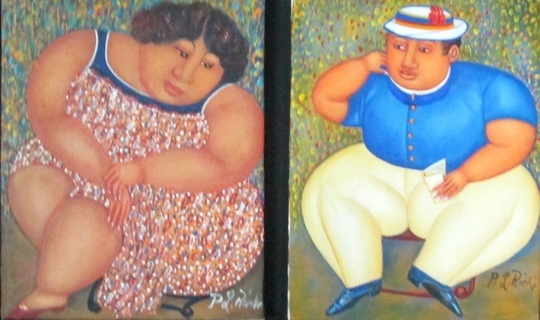 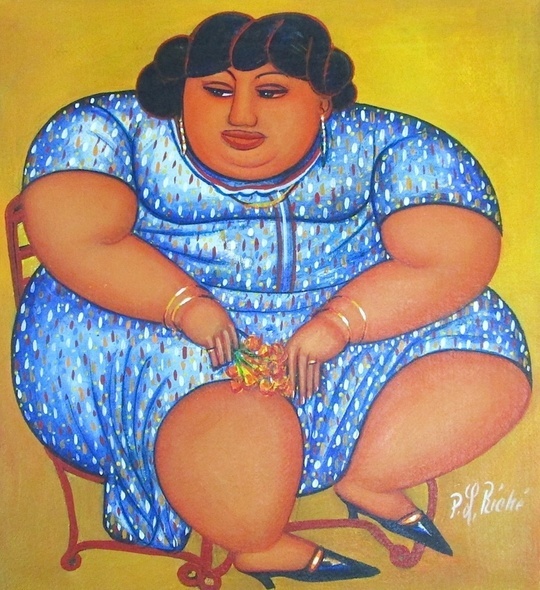 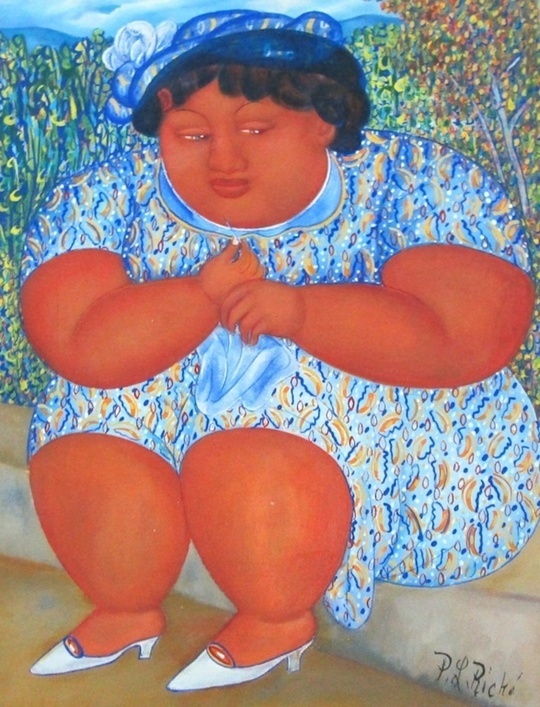 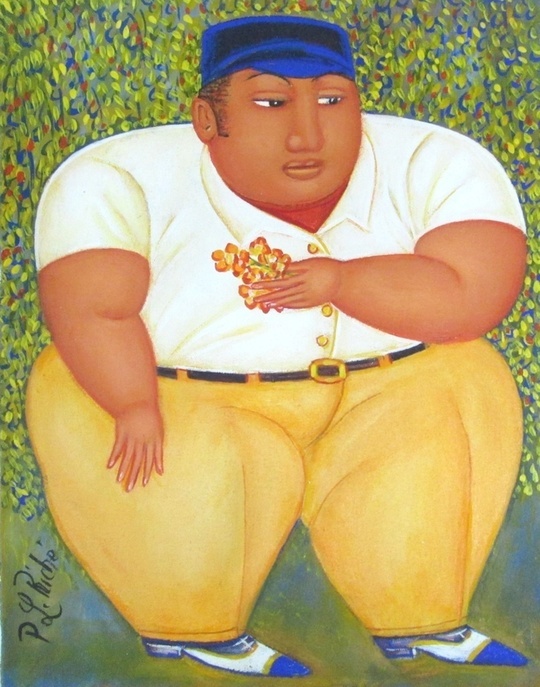 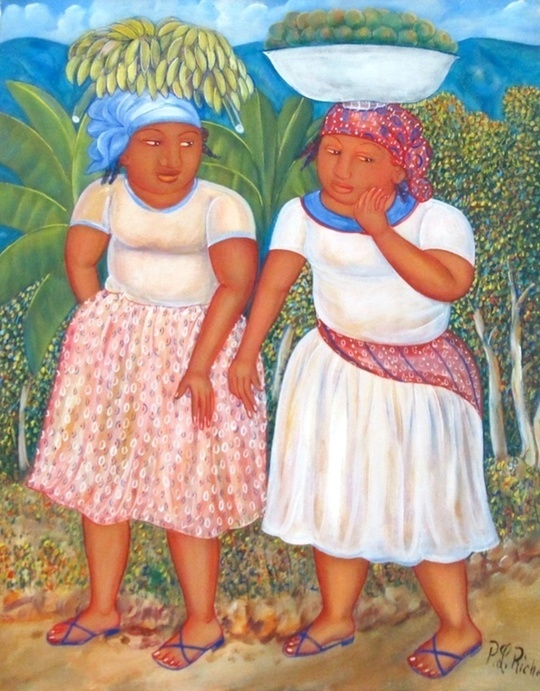 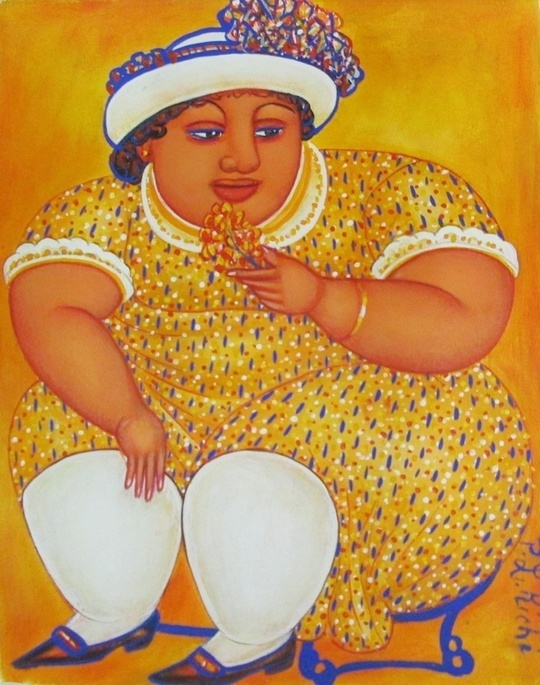 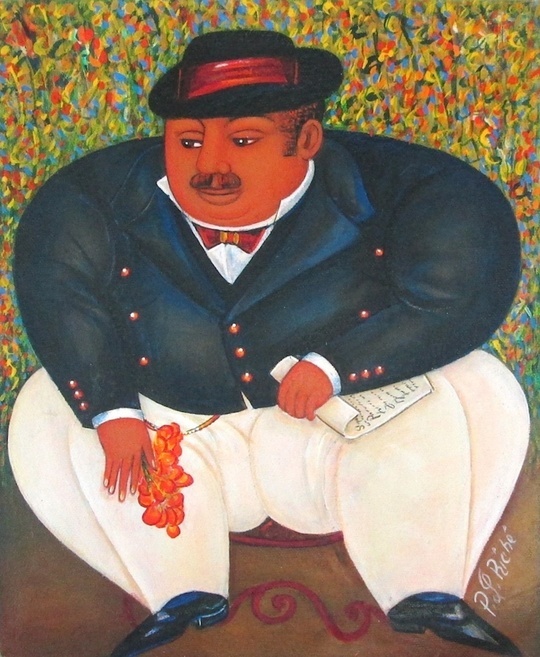 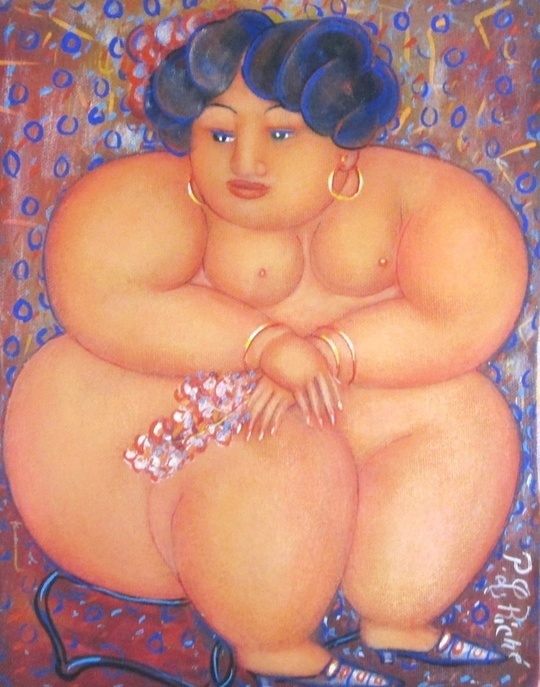 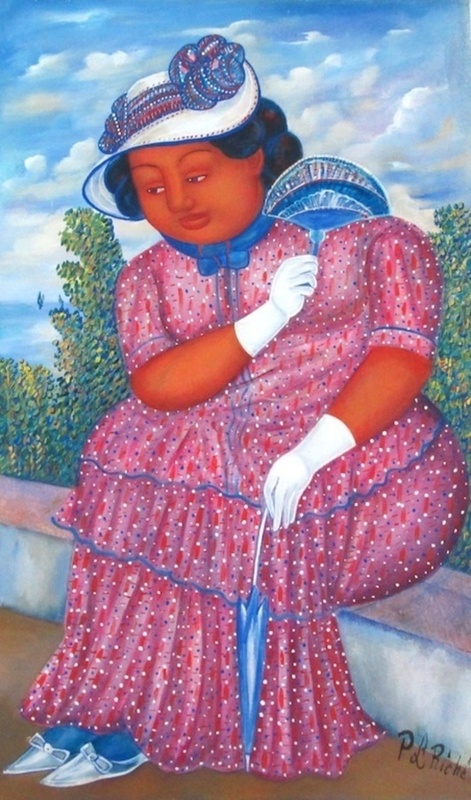 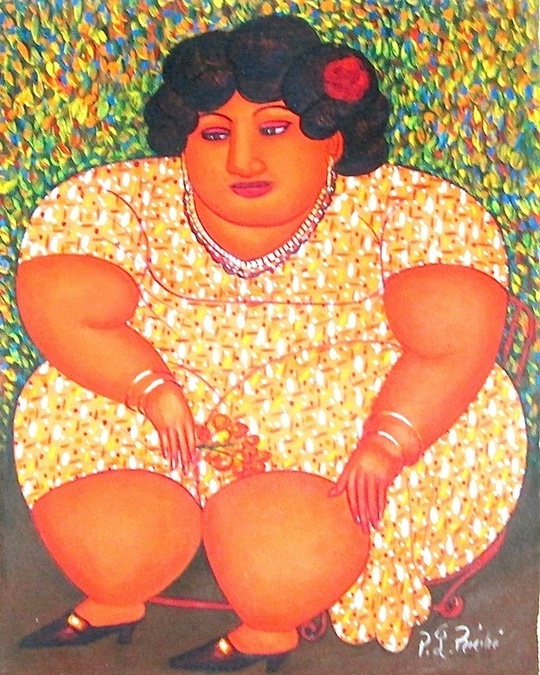 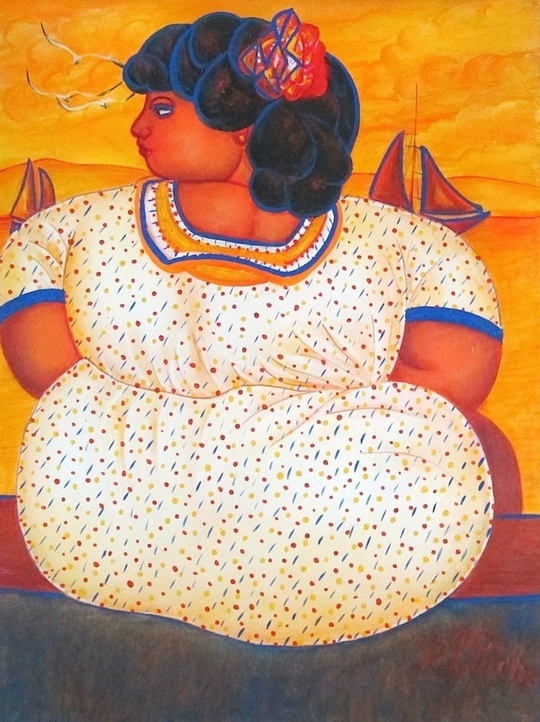 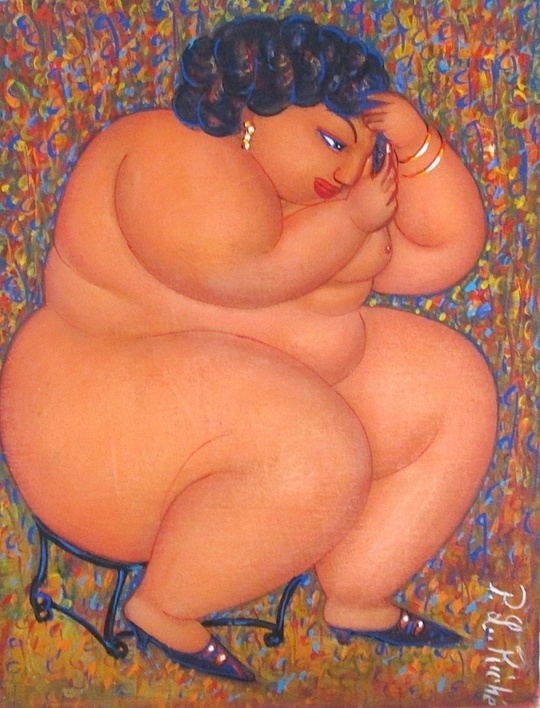 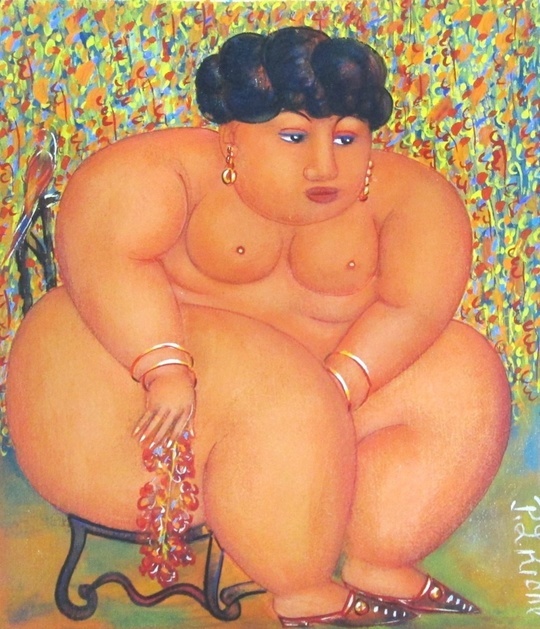 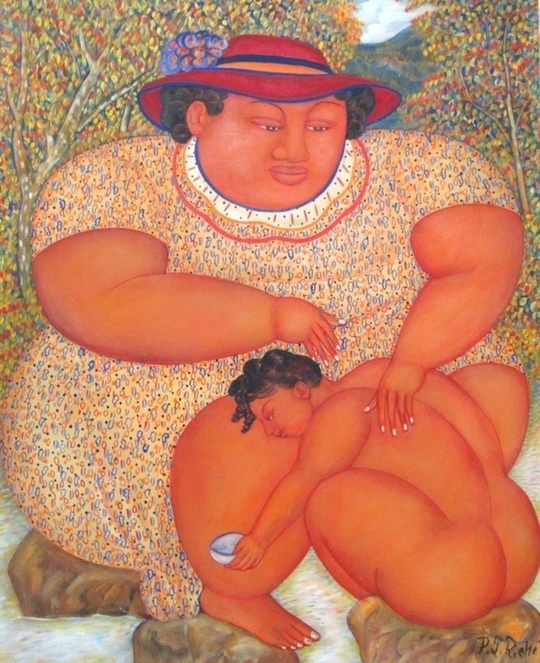 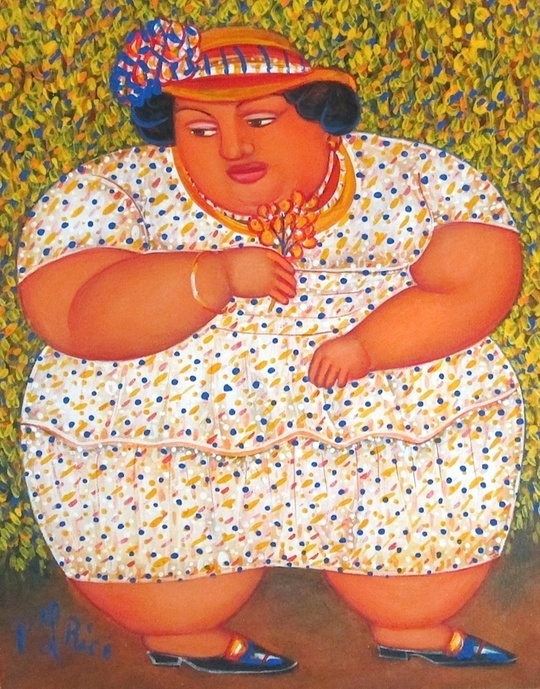 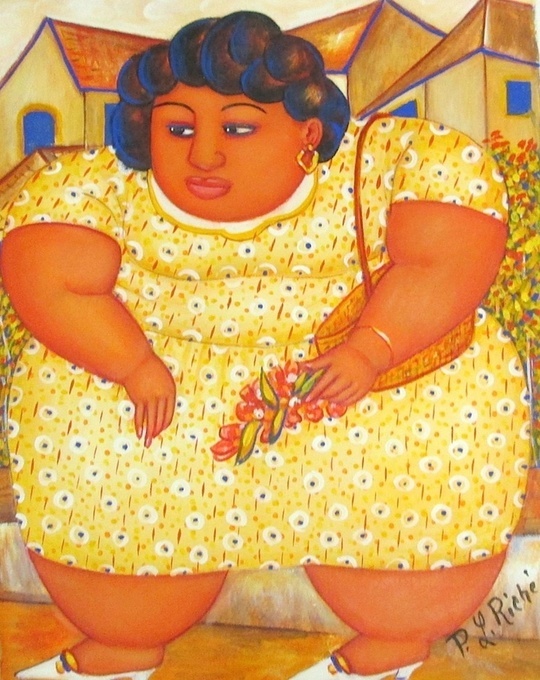 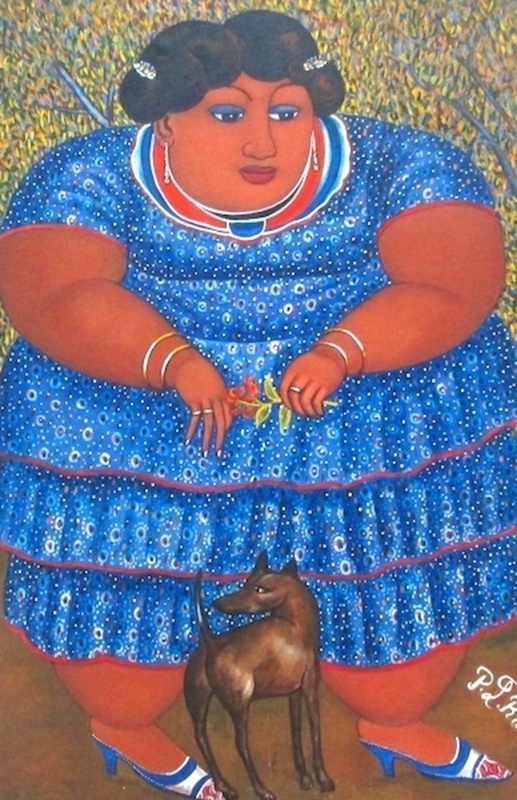 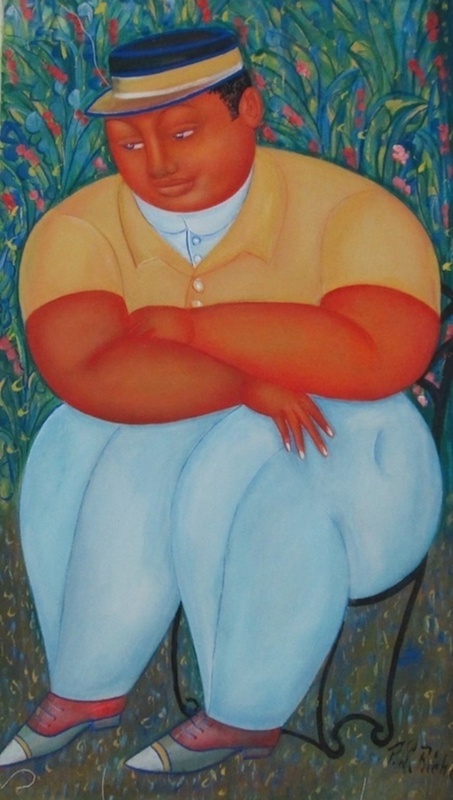 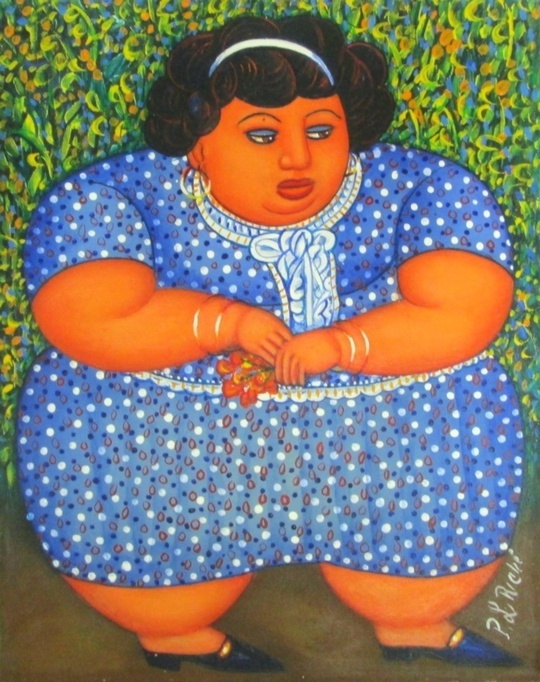 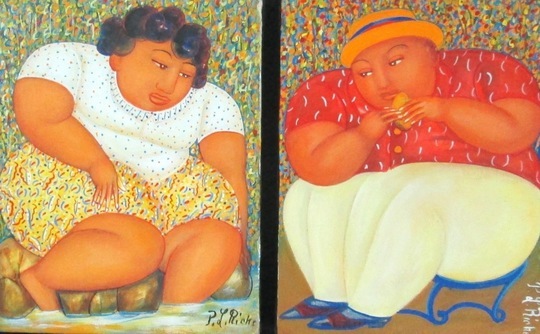 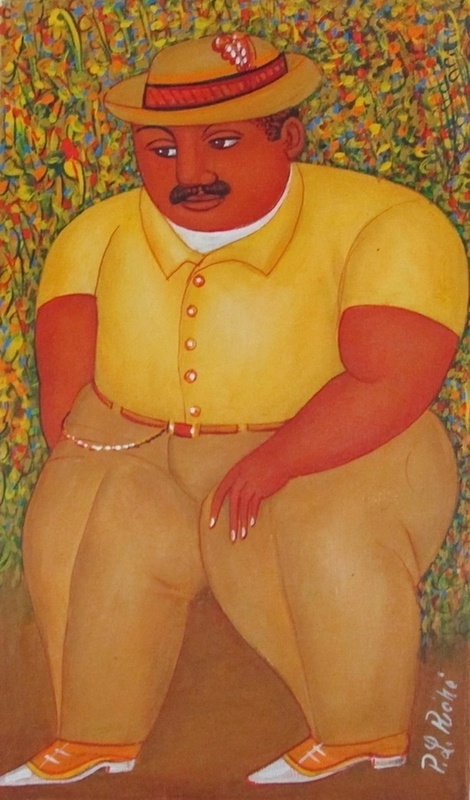 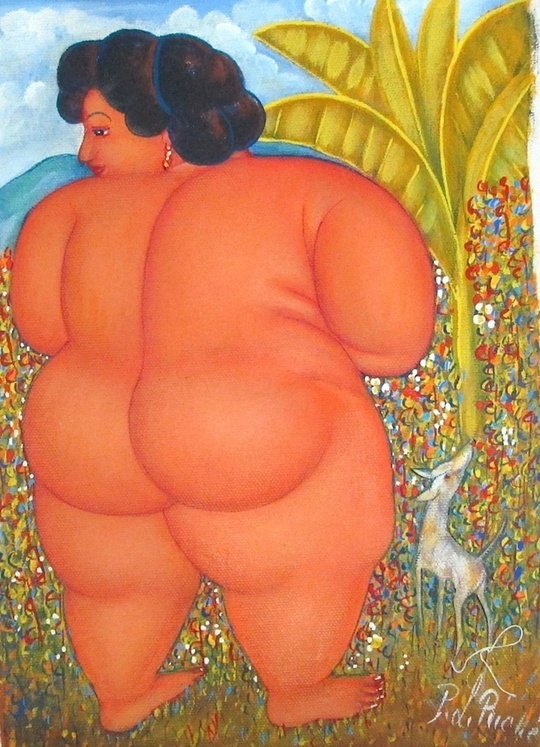 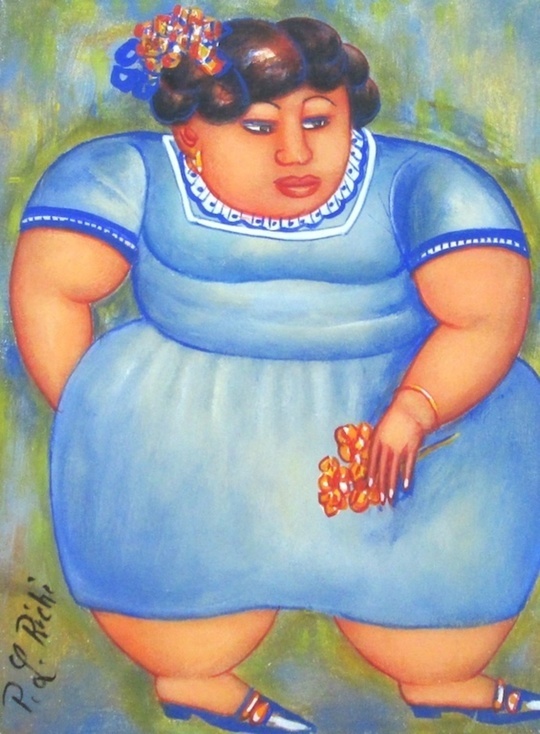 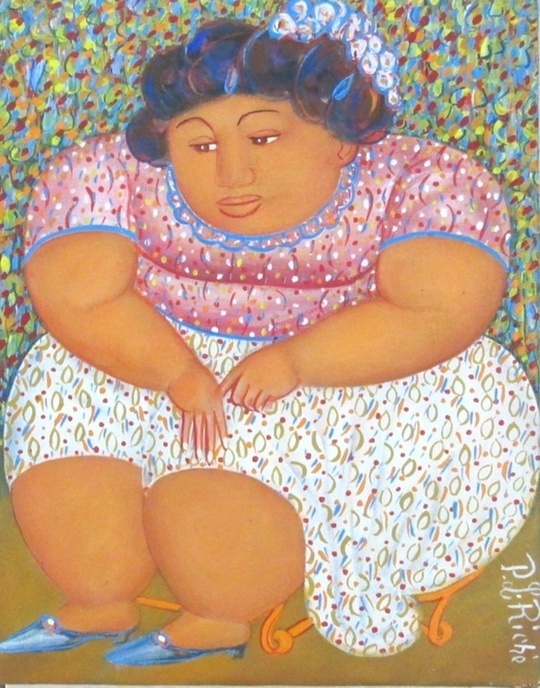 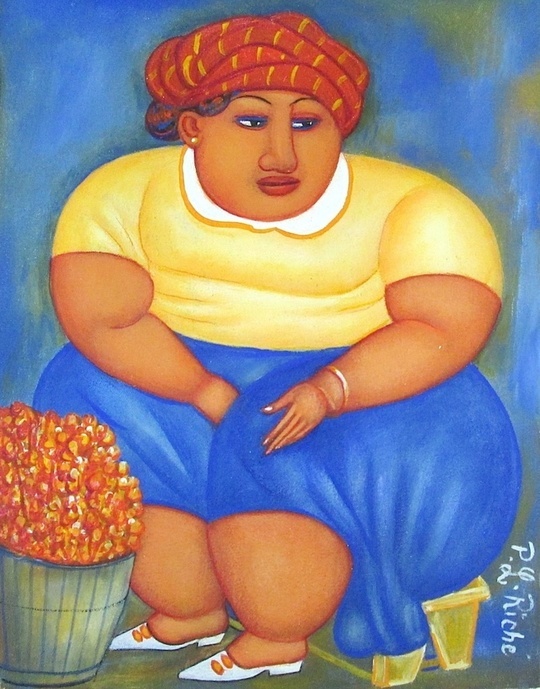 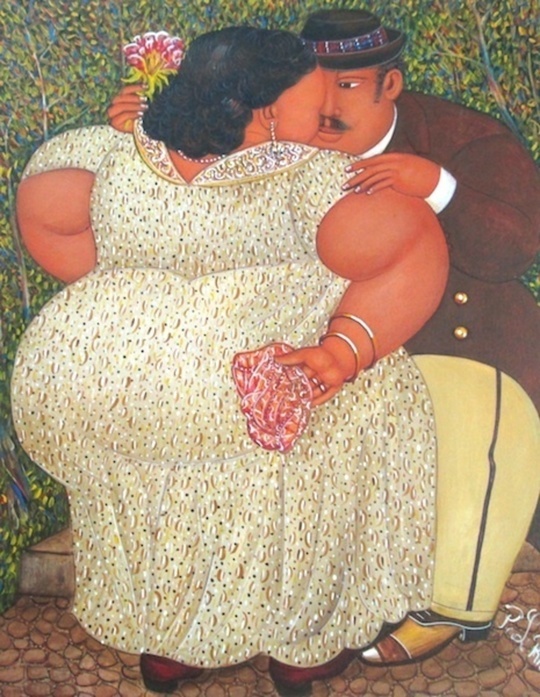 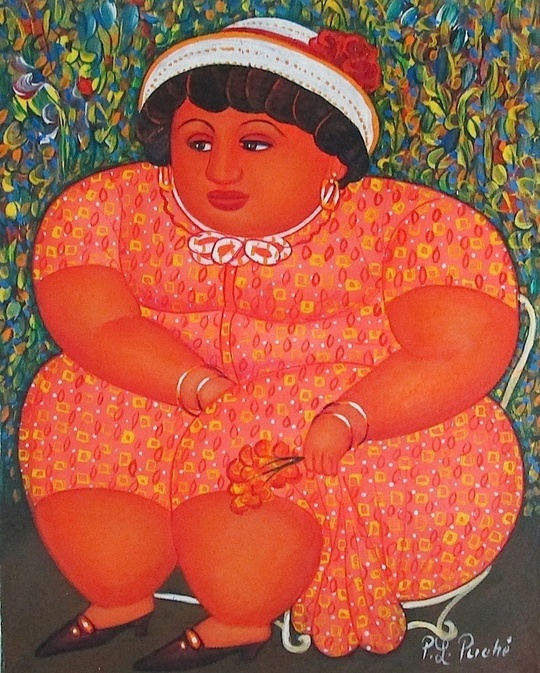 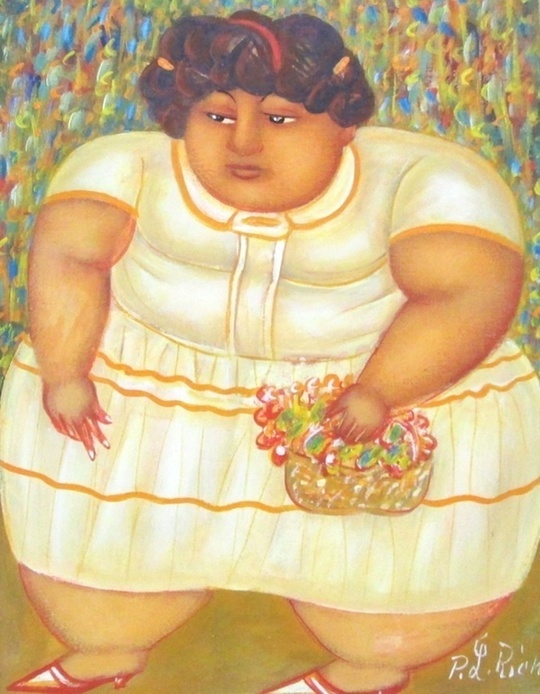 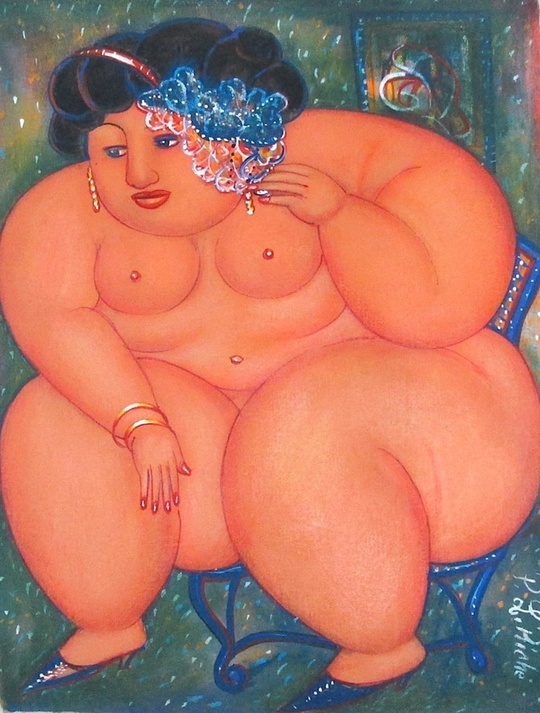 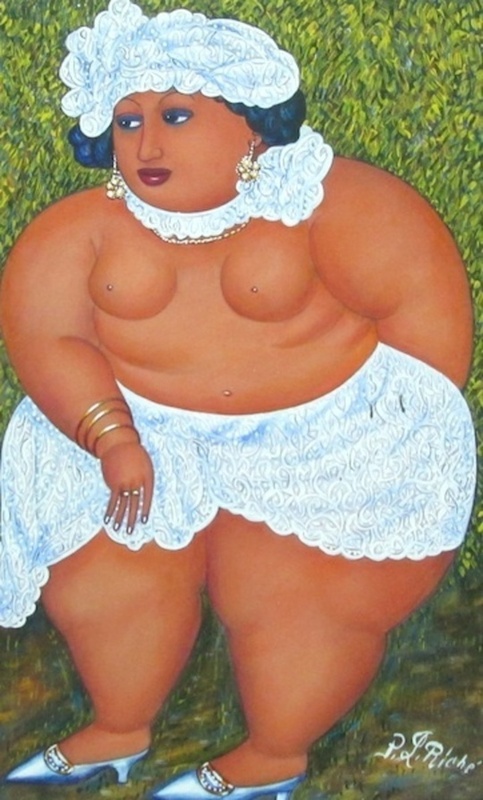 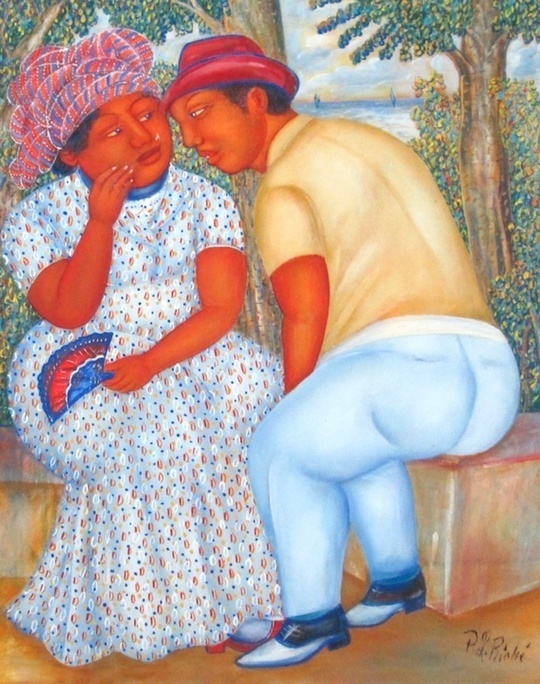 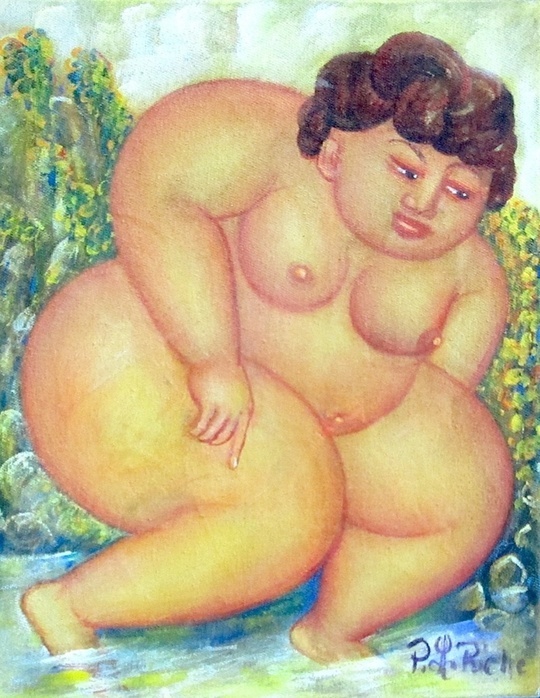 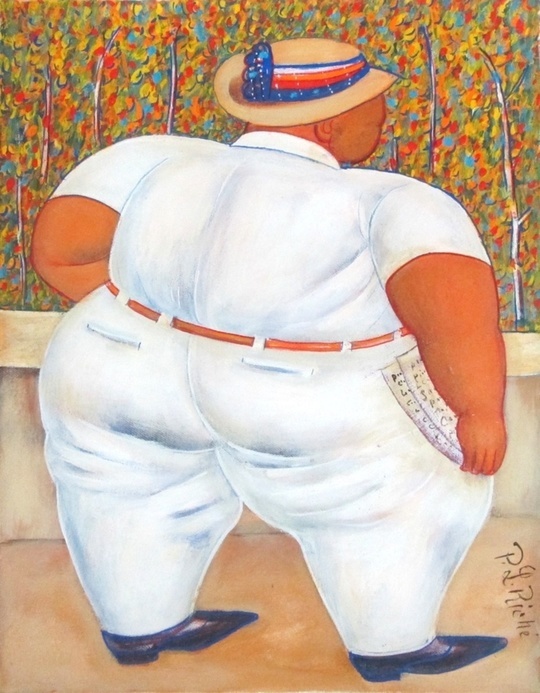 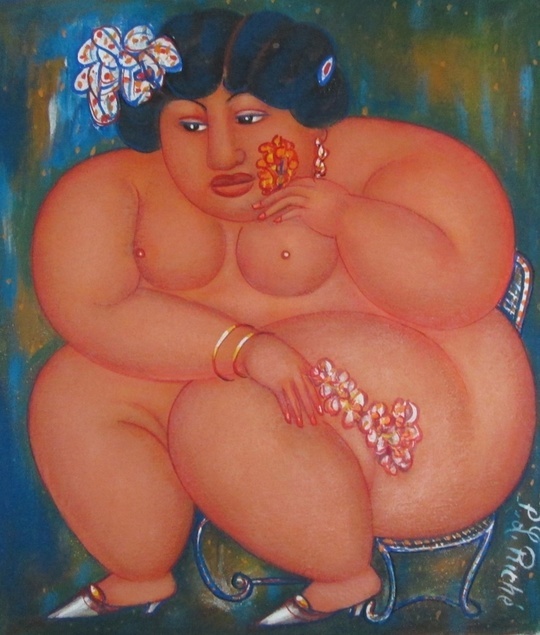 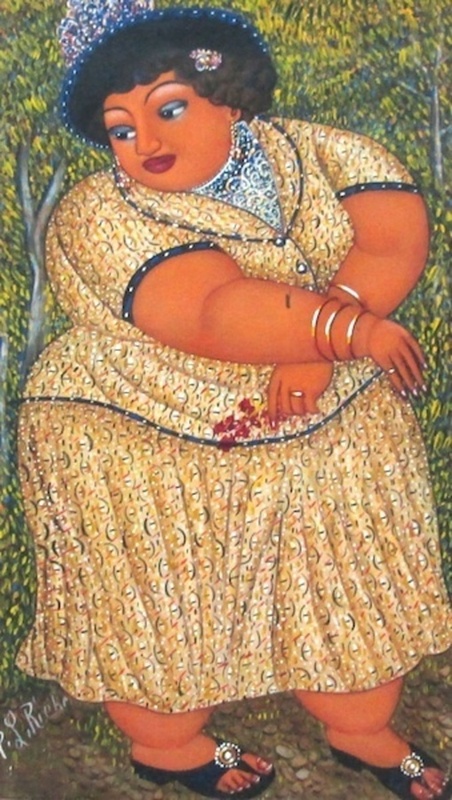 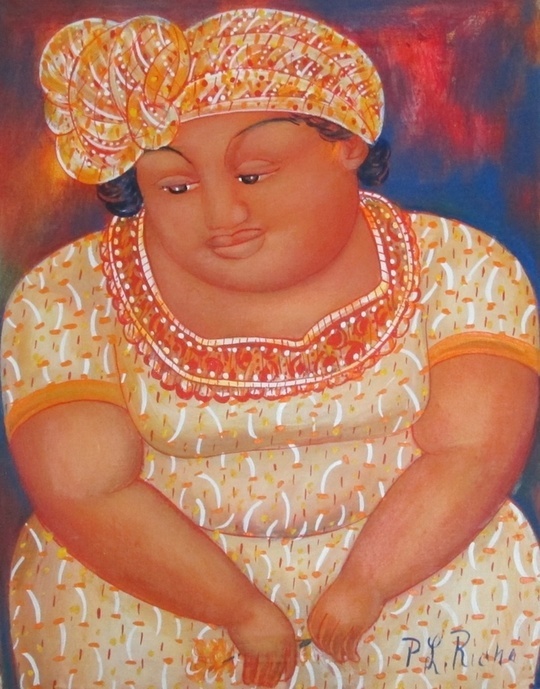 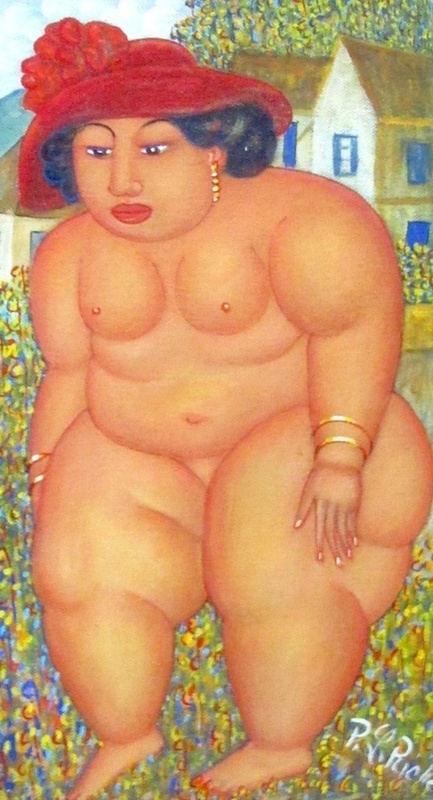 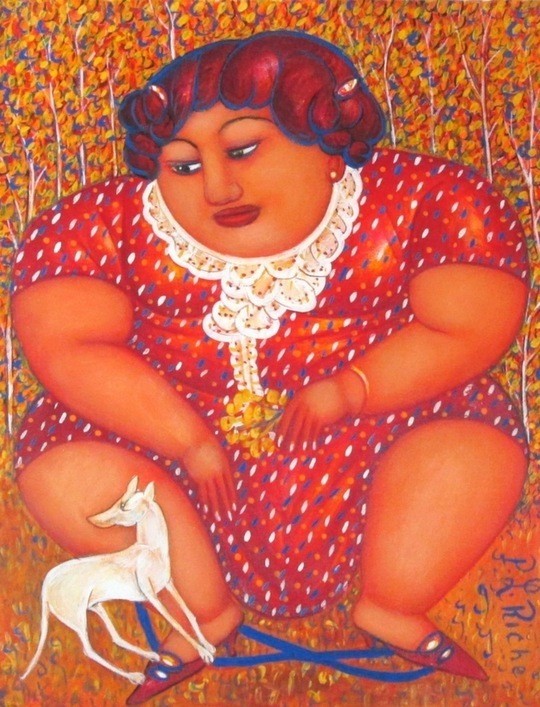 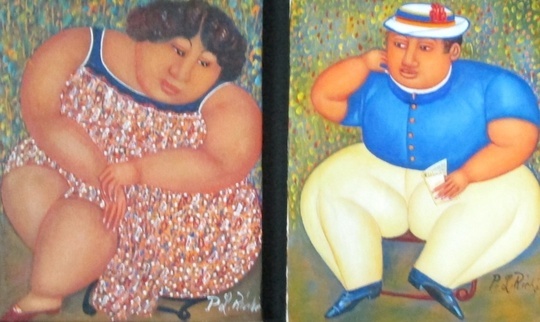 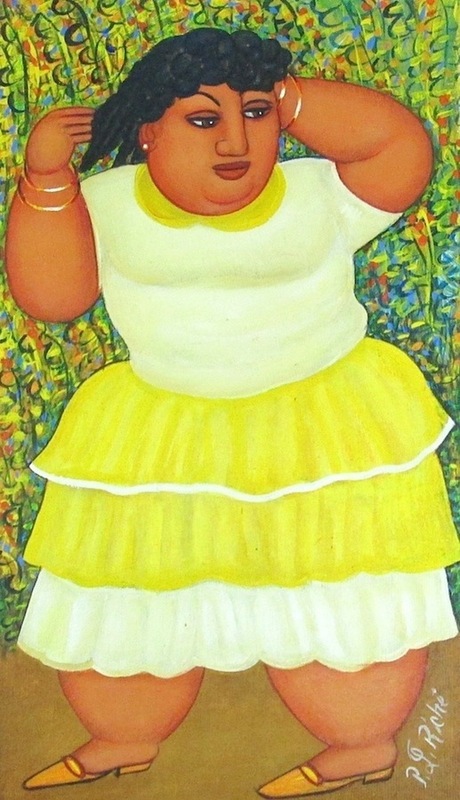 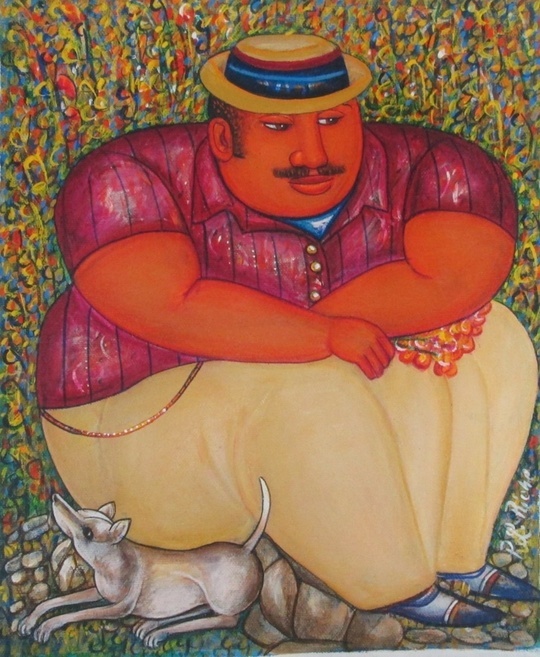 by Botero until people pointed out the similarities in their work. 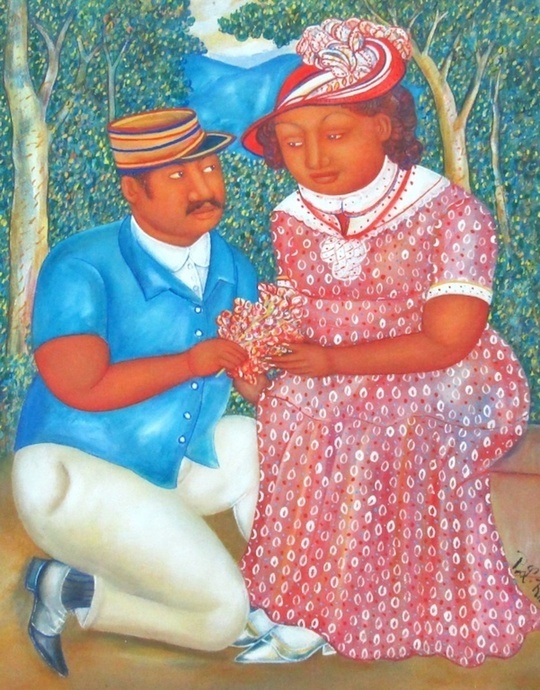 Many galleries in Europe, Latin America, the States, and Japan have a permanent exhibit of his works. 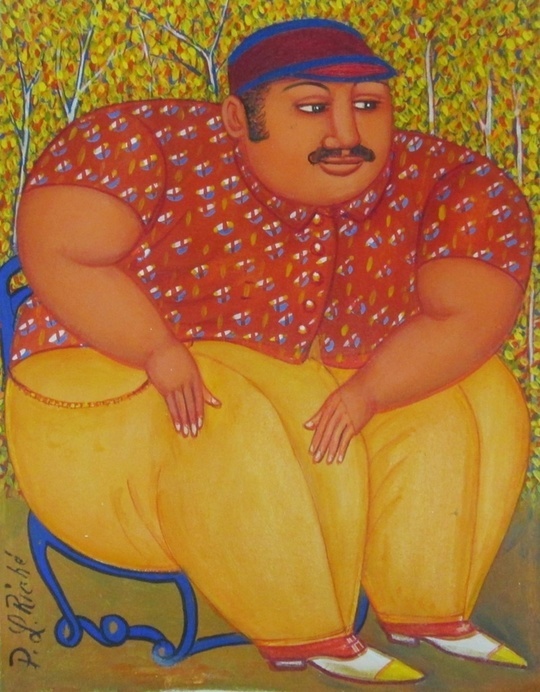 his funny but serious fat people. 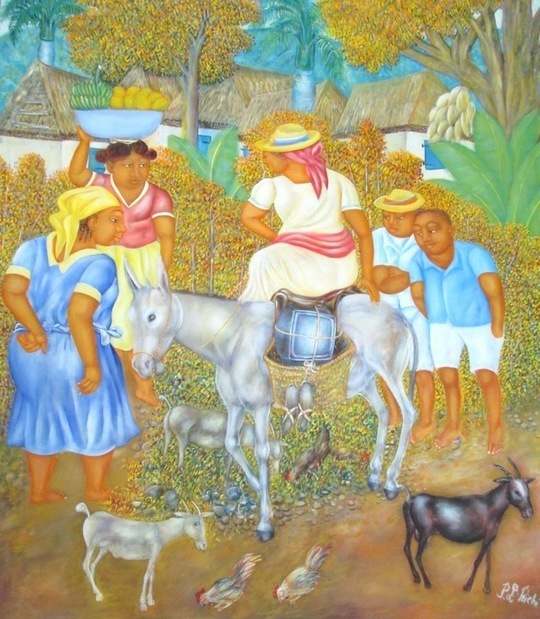 He currently lives in Christ-Roi in Port-au-Prince with his wife and his five children.